NEW JERSEY (WABC) -- We all have the ability to make a difference in someone's life, this is best exemplified by Daniela Olt. Daniela is a 15-year-old high school student from New Jersey, and started her own charity "Daniela's Wish" in the wake of the powerful earthquake that hit Haiti in 2010. According to her website Daniela's mission is; "To help every child, everywhere have comfort and safety, especially during times of sadness. By providing items they have lost or need to get through a tragedy or time of sadness." What's Daniela's inspiration behind her kind acts of giving? That's simple, her mom. "My mom has always taught me to give with your heart, because it's the greatest gift you can give," she said. Her initial efforts generated 1,000 boxes of cookies and 300 new stuffed animals to a local Haitian charity that distributed them. In the aftermath of Hurricane Sandy, Daniela collected 3,000 books and various gifts that went to schools, libraries and displaced families. She hasn't stopped there, Daniela added; "We've granted so many wishes to local kids in our state. We have a partnership at Jersey Shore Medical Center, Monmouth Medical Center, and CentraState Medical Center." 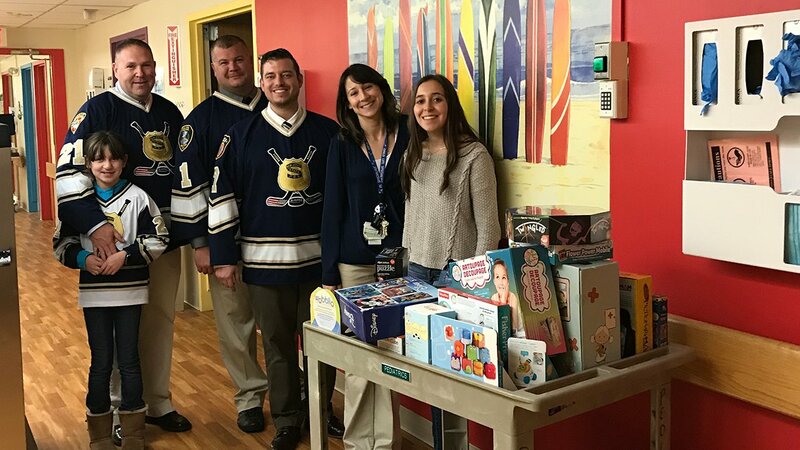 Daniela's charity makes visits three times a year with new toys for pediatric patients and their families to help them get through their most difficult times. "The look on the kids and the parents' faces make everything we do so rewarding," Daniela said. Daniela shows us how a simple act of kindness can go a long way, and the impact it can have. 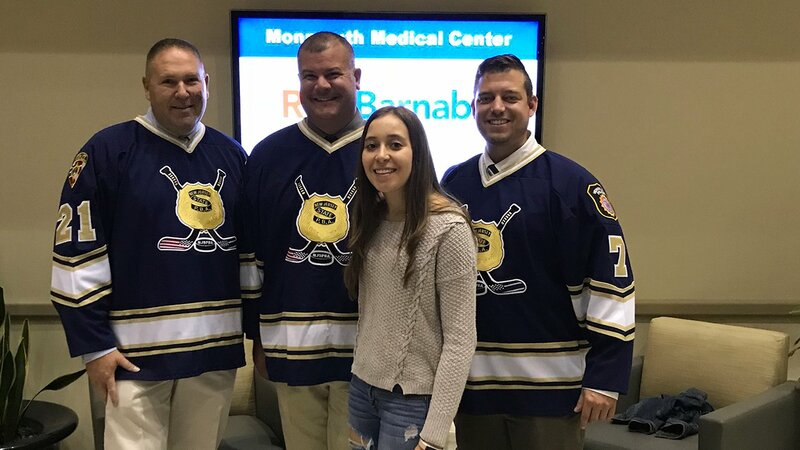 On Thursday she teamed with the New Jersey State Policemen's Benevolent Association Hockey Team, and handed gifts to young patients at Monmouth Medical Center. "We all can pay it forward and do something to help others, all it takes is heart," Daniela said. To learn more about Daniela's efforts in and around the community, and who can benefit from her efforts visit her website Daniela's Wish . You can also visit the charity's Facebook page.